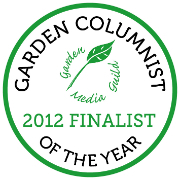 ‘…This is the greatest gardening nation on earth’, I was permitted to bark ‘so do perk up readers or I will lose my job’. Within hours of publication my startled regulars rallied and all sorts of more interesting stuff started pinging into the inbox – a real shot in the arm. To be fair, I had tempered my ill temper with slightly more good-humoured, lengthy observations on the subject of the four stages in a gardeners life (1) shopping, 2) over-nurturing, 3) loosening the stays then finally 4) losing the plot), which seemed to go down rather well. So by return, in addition to the more energetic Thorny Problems, I received some wonderful letters from several empathetic stage 3 gardeners (which is where I am at), and even more valiant silver-surfing stage 4’s in their eighties and beyond, when having your cataracts done is a mixed blessing, according to Jan from Harrogate, because you can actually then see the growing chaos. But such is nature of Telegraph Gardening (I write my bit about 10 days in advance of publication) that before readers could benefit from the horticultural blood transfusion they had given me (to continue, slightly off-course, the metaphor), I had stuck another little needle into my column aimed at a reader who asked me to recommend the best make of plastic grass to replace his ailing lawn. ” The writer of Thorny problems”, I advised him archly, “has no truck with such fakery” and he should “try writing to a different agony column”. Quick as a flash comes back a barb from another reader who distinctly recalls me recommending, a few years back, that someone should prop plastic Strelitzia flowers in amongst the leaves of her plant that refused to produce its own. Ouch! 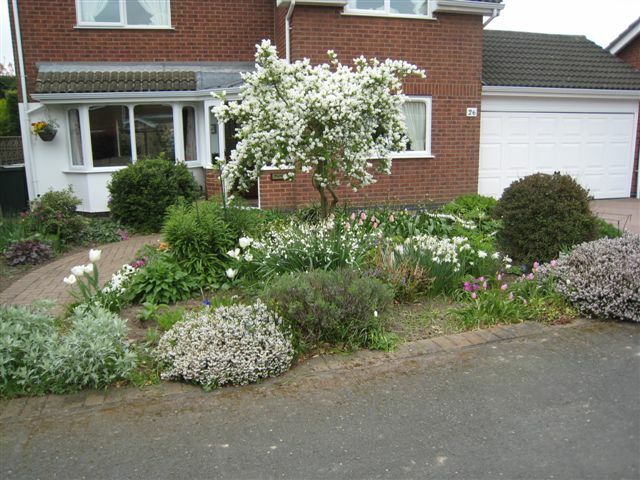 And today another octagenarian, Ken from Loughborough, observing that I seemed of late to have been rather ‘down in the dumps’ (you are too kind, Ken, I have been horrid) sent me a glorious picture of Exochorda ‘The Bride’ in his front garden just to cheer me up. My job as Thorny Problems columnist has some wonderful moments – thanks Ken – and thanks, too, to everyone else who contributes. I’ll try and be nicer. This entry was posted on Wednesday, April 27th, 2011 at 10:39 pm and is filed under Musings. You can follow any responses to this entry through the RSS 2.0 feed. You can skip to the end and leave a response. Pinging is currently not allowed. I must be missing something. I have followed your Thorny Problems with great devotion, although I live in the Med, for many years but since February it has disappeared from the Saturday edition of the DT (which is the only one I get a) cos it has your column and many other interesting inserts and b) cos every day it would cost me a fortune to buy. Where has it gone to? Please enlighten me so I can continue to follow you; I miss it very much. Hello Pam. 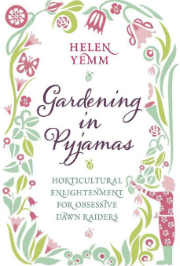 Apparently there is a page on gardening in the Weekend section of The Telegraph that is distributed internationally, and when I spoke to my editor (you are not the only one who has complained that the gardening section has vanished) she said she thought that my column was always included in this. She is going to check up on it. Meanwhile, the whole content of Telegraph Gardening can be viewed on-line. Thanks for your message – I hope your garden is not as dry as mine! Only one downpour and little else in the way of rain in SE England over the past goodness-knows-how-many weeks! Hello Helen, thank you for your response. Yes, there is a Gardening section in Saturday’s DT but in a much more shortened form than it ever was originally and, as I mentioned, your column has completely disappeared. (Another change is C’est La Folie is now fortnightly instead of weekly:( ) I will now check it out and follow it online, but as a silver surfer, I always prefer to read the paper version! My little garden has been very dry over a long dry & warm winter and now suffering a wet and windy spring – not good news! Sadly, I’ve lost my lovely Australian bottle brush tree which was one of my favourites….shall now have to find another to replace it! Buon lavoro in your lovely English garden. Oh please don’t become all sweet and cosy, I love it when you are bracing!